Arash was born into engineering. His father was a civil engineer with his own construction company in Iran, and Arash loved to go on site visits with him as a boy. His early love of construction and engineering defined Arash’s education and career path. 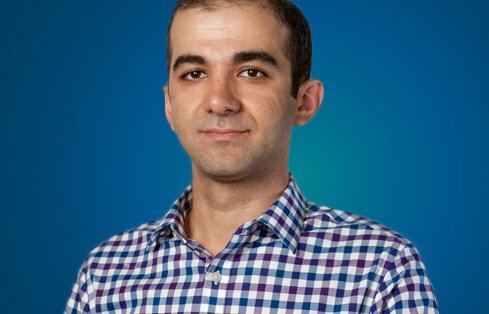 After he completed his undergraduate and master’s degrees, Arash got some practical field experience working in Iran before heading to the University of Massachusetts Amherst for his Ph.D.
Arash discovered GeoEngineers shortly after completing his Ph.D. When he manages to take a break from his work, Arash enjoys spending time with his wife. They hit the gym together to stay active and regularly team up for tennis. You might also find them just relaxing with friends over a beer or whiskey! Pirouzi, A. (2018). Compressibility and Normalized Undrained Shear Behavior of Soft Fine-Grained Soils (Doctoral dissertation, University of Massachusetts Libraries) https://scholarworks.umass.edu/dissertations_2/1377. Pirouzi, A., & Eslami, A. (2017). Ground subsidence in plains around Tehran: site survey, records compilation and analysis. International Journal of Geo-Engineering, 8(1), 30. Eslami, A., Pirouzi, A., Omer, J. R., & Shakeran, M. (2015). CPT-based evaluation of Blast Densification (BD) performance in loose deposits with settlement and resistance considerations. Geotechnical and Geological Engineering, 33(5), 1279-1293.